It’s tempting to try to save money on lawn mower service by just waiting until something breaks and then calling a lawn mower repair company to fix it. However, the lawn mower service experts at K N Small Engines & Rental Equipment in Lancaster, WI, say regular tuneups and maintenance can save you big money and frustration in the long run. Improved Fuel Economy: A tuned-up lawn mower can burn up to a third less fuel than one that hasn’t been maintained properly. This can add up to big savings over the long run, especially if you live in an area where you have to mow year round. Longer Life: Mowers last longer with regular lawn mower service and tuneups. Just as people who take good care of themselves tend to live longer, your mower will last longer with regular oil and filter changes, fresh spark plugs, clean flywheels, sharpened blades, and well-scraped decks. Reduced Repair Costs: Performing regular, low-cost maintenance along the way tends to end up being less expensive than waiting until a big repair job is needed. Without proper tuneups, your mower may need an entirely new engine instead of just less expensive parts like a new oil filter. Better Fuel: A lawn mower repair technician will be able to set you up with a low-ethanol gas blend and the right fuel stabilizer to make your mower burn cleaner, burn less gas, and last longer, with less corrosion and degradation of its plastic parts. If it’s been a while since your last lawn mower service appointment, join the other Lancaster residents who trust the decades’ worth of combined experience at K N Small Engines & Rental Equipment. 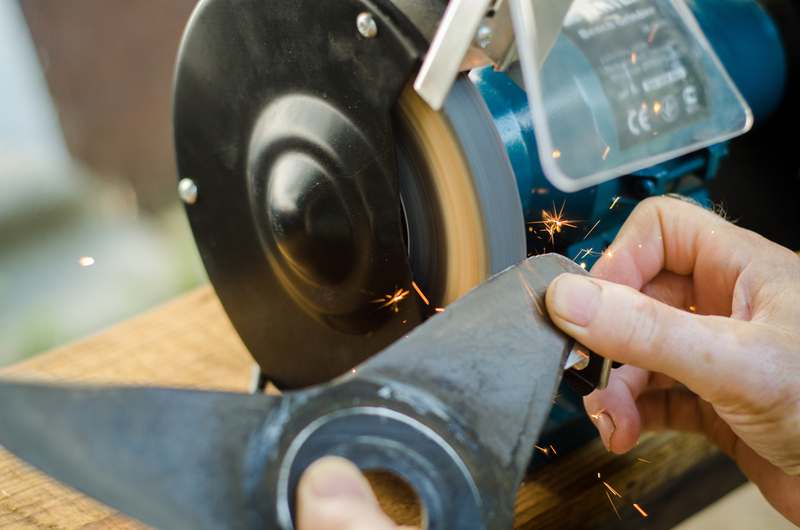 Small engine repair is one of their specialties, and their lawn mower sharpeners will keep your mower’s blades in tip-top shape. Call them at (608) 723-3790 to learn more about their repair shop and professional technicians, or visit their website for more information on their equipment rentals and services.